Department of Applied Mathematics Azarbaijan Shahid Madani University, Tabriz, Iran. Super-efficiency model in the presence of negative data is a relatively neglected issue in the DEA field. The existing super-efficiency models have some shortcomings in practice. In this paper, a novel VRS radial super-efficiency DEA model based on Directional Distance Function (DDF) is proposed to provide a complete ranking order of units (including efficient and inefficient ones). The proposed model is feasible no matter whether data are non-negative or not. This model shows more reliability on differentiating efficient units from inefficient ones via a new bounded super-efficiency measure. It can project each unit onto the super-efficiency frontier along a new non-negative direction and produce improved targets for inefficient units. The model overcomes the infeasibility issues occur in Nerlove–Luenberger supper-efficiency model. The proposed model conveys good properties such as monotonicity, unit invariance and translation invariance. Apart from numerical examples, an empirical study in bank sector demonstrates the superiority of the proposed model. Ali, A.I., and Seiford, L.M. (1990). “Translation invariance in data envelopment analysis”, Operations Research Letters, Vol. 9, pp. 403-405. Andersen, P., and Petersen, N.C., (1993). “A procedure for ranking efficient units in data envelopment analysis”, Management Science, Vol. 39, No. 10, pp. 1261–1294. Banker, R.D., Charnes A., and Cooper W.W., (1984). 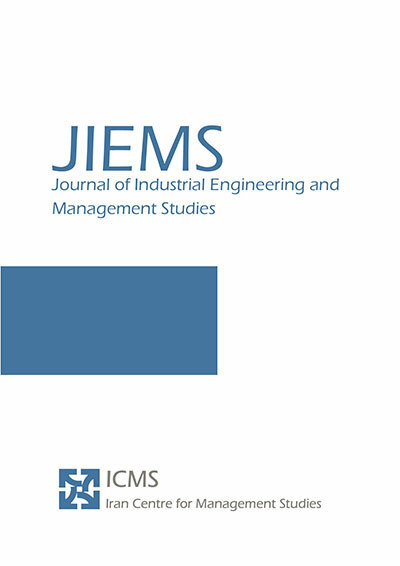 “Some models for estimating technical and scale inefficiencies in data envelopment analysis”, Management Science, Vol. 30, No. 9, pp. 1078-1092. Basso, A., and Funari, S., (2014). “Constant and variable returns to scale DEA models for socially responsible investment funds”, European Journal of Operational Research, 235(3), 775-783. Briec, W., (1997). “Agraph-type extension of Farrell technical efficiency measure”, Journal of Productivity Analysis, Vol. 8, No. 1, pp. 95-110. Briec, W., and Kerstens, K., (2009). “Infeasibilities and directional distance functions with application to the determinateness of the Luenberger productivity indicator”, Journal of Optimization Theory and Applications, Vol. 141, No. 1, pp. 55-73. Chambers, R., Chung, Y., and Färe, R., (1998). “Profit, directional distance functions, and Nerlovian efficiency”, Journal of Optimization Theory and Applications, Vol. 98, pp. 351–364. Chambers, R. G., Chung, Y., and Färe, R., (1996). “Benefit and distance functions”, Journal of Economic Theory, Vol. 70, pp. 407–419. Charnes A., Cooper W. W., and Rhodes E., (1978). “Measuring the efficiency of decision making units”, European Journal of Operational Research, Vol. 2, No. 6, pp. 429-444. Chen, Y., (2005). “Measuring super-efficiency in DEA in the presence of infeasibility”, European Journal of Operational Research, Vol. 61, pp. 545–551. Chen, Y., Du, J., and Hoa, J., (2013). “Super-efficiency based on a modified directional distance function”, Omega, Vol. 41, pp. 621-625. Chen, Y., and Liang, L. (2011). “Super-efficiency DEA in the presence of infeasibility: One model approach”, European Journal of Operational Research, Vol. 213, pp. 359–360. Cheng, G., Zervopoulos, P., and Qian, Z., (2013). “A variant of radial measure capable of dealing with negative inputs and outputs in data envelopment analysis”, European Journal of Operational Research, Vol. 225, No. 1, pp. 100–105. Cook, W.D., Liang, L., Zha, Y., and Zhu, J., (2009). “A modified super-efficiency DEA model for infeasibility”, Journal of Operational Research Society, Vol. 60, pp. 276–281. Emrouznejad, A., Anouze, A.L., and Thanassoulis, E., (2010). “A semi-oriented radial measure for measuring the efficiency of decision making units with negative data, using DEA”, European Journal of Operational Research, Vol. 200, No. 1, pp. 297-304. Emrouznejad, A. and Anouze, A.L., (2010). “Data envelopment analysis with classification and regression tree - A case of banking efficiency”, Expert Systems with Applications, Vol. 27, No. 4, pp. 231-246. Hadi-Vencheh, A., and Esmaeilzadeh, A., (2013). “A new super-efficiency model in the presence of negative data”, Journal of the Operational Research Society, Vol. 64, No. 3, pp. 396-401. Kerstens, K., and Van de Woestyne, I., (2011). “Negative data in DEA: a simple proportional distance function approach”, Journal of the Operational Research Society, Vol. 62, No. 7, pp. 1413-1419. Kerstens, K., and VandeWoestyne, I., (2014). “A note on a variant of radial measure capable of dealing with negative inputs and outputs in DEA”, European Journal of Operational Research, Vol. 234, No. 1, pp. 341-342. Lee, H. S., and Zhu, J., (2012). “Super-efficiency infeasibility and zero data in DEA”, European Journal of Operational Research, Vol. 216, pp. 429–433. Lee, H. S., Chu, C. W., and Zhu, J., (2011). “Super-efficiency DEA in the presence of infeasibility”, European Journal of Operational Research, Vol. 212, pp. 141–147. Lin, R., and Chen, Z., (2015). “Super-efficiency measurement under variable return to scale: an approach based on a new directional distance function”, Journal of the Operational Research Society Vol. 66, pp. 1506–1510. Lin, R., and Chen, Z., (2017). “A directional distance based super-efficiency DEA model handling negative data”, Journal of the Operational Research Society, Vol. 68, No. 11, pp. 1312-1322. Lovell, C.A.K., (1995). “Measuring the Macroeconomic Performance of the Taiwanese Economy”, International Journal of Production Economics, Vol. 39, pp. 165-178. Lovell, C.A.K., and Pastor, J.T., (1995), “Units invariant and translation invariant DEA models”, Operations Research Letters, 18(3), 147-151. Pastor, J.T., and Aparicio, J., (2015). “Translation Invariance in Data Envelopment Analysis”, In Data Envelopment Analysis, pp. 245-268. Pastor, J.T., and Ruiz, J.L., (2007). “Variables with negative values in DEA. In Modeling data irregularities and structural complexities in data envelopment analysis, pp. 63-84. Pastor, J.T., (1996). “Translation invariance in data envelopment analysis: A generalization”, Annals of Operations Research, Vol. 66, pp. 93-102. Pourmahmoud, J., Hatami-Marbini, A., and Babazadeh, E., (2016). “A comment on a new super-efficiency model in the presence of negative data”, Journal of the Operational Research Society, Vol. 67, No. 3, pp. 530-534. Ray, S. C., (2008). “The directional distance function and measurement of super-efficiency: an application to airlines data”, Journal of the Operational Research Society, Vol. 59, No. 6, pp. 788-797. Seiford, L.M., and Zhu, J. (1999). Infeasibility of super-efficiency data envelopment analysis models, pp. 174–187. Silva Portela, M.C.A., Thanassoulis, E., and Simpson, G., (2004). “A directional distance approach to deal with negative data in DEA: An application to bank branches”, Journal of Operational Research Society, Vol. 55, No. 10, pp. 1111-1121. Sharp, J. A., Meng, W., and Liu, W. (2007). “A modified slacks-based measure model for data envelopment analysis with ‘natural’ negative outputs and inputs”, Journal of the Operational Research Society, Vol. 58, No. 12, pp. 1672-1677.